The Internet of Things (IoT) is linking billions of smart and connected devices to each other, creating a wave of change in how we live and work. The number of connected machines is expected to dramatically increase – by 2020, 50 billion devices (Cisco IBSG) will create 44 zettabytes (of 44 trillion gigabytes) of data annually, and will require much more processing power at the edge, and in the fog to network in order to maintain viability. To support these experiences, today at IoT Solutions World Congress, Intel is announcing the latest generation of the Intel® Atom™ processors for IoT applications. The new Intel Atom processor E3900 series is designed from the ground up to support the rapid development and the growing complexity of IoT businesses. The result is a processor exceptionally capable of delivering on performance, processing and scalability. Inside its compact form factor, customers can achieve new levels of security, determinism, and image and video processing power. This will help fuel innovative IoT applications across industrial, video, manufacturing, retail and more. We are also announcing details of our Intel Atom processor dedicated for automotive applications. The A3900 series is designed to power a new generation of in-vehicle experiences. The automotive series will enable a complete software defined cockpit solution that incudes in-vehicle infotainment (IVI), digital instrument clusters and advanced driver assistance systems (ADAS) – all in a single, compact and cost-effective SoC. The A3900 series will allow car makers to offer new levels of determinism for real-time decision-making required in next-generation cars. It is currently sampling with customers and will be available in Q1 2017. The Intel Atom processor E3900 series will make the edge and fog more intelligent – enabling many of the processing needs to take place at or near the data sensor and alleviating the need to push all processing to the data center. Fog computing, also known as fog networking, is a decentralized computing infrastructure in which computing resources and application services are distributed in the most logical place at any point from the data source to the cloud. As an example, consider traffic cams and sensor data. There are significant downsides to sending data to a server for analysis, such as loss due to video compression and time spent in travel, versus having the ability to process data at the device. In the automotive industry, the software-defined cockpit is also where this edge computing capability can make a difference. The ability for a single system to drive the digital gauges, navigation, and advance driver assist functions is the trend. It is important that backup sensors, bird’s-eye view parking or side collision alter function in a reliable response time, regardless of what the media or navigation system is doing at that time. Pristine graphics for media-rich applications: The processor series features Intel’s ninth-generation graphics engine that improves 3-D graphics performance by 2.9 times over the previous generation2 , and supports as many as three independent displays. Advanced image processing to support all types of vision system needs: The E3900 series has four vector image processing units, resulting in better visibility, quality video in low light, noise reduction, and color and detail preservation. Faster connections to keep devices in sync : Intel® Time Coordinated Computing Technology coordinates and synchronizes peripherals and networks of connected devices. By synchronizing clocks inside the system on a chip (SoC) and across the network, Intel Time Coordinated Computing Technology can achieve network accuracy to within a microsecond. The Intel Atom processor E3900 series is a significant step toward building a more robust IoT ecosystem. The series’ early access program has generated tremendous excitement among our customers and partners, putting the product on track to be one of Intel’s most successful IoT processors. To continue providing endless smart and connected device possibilities for the future, we at Intel are working with a diverse ecosystem of leading IoT device and equipment manufacturers, software vendors and OEMs, including Delphi, FAW, Neusoft, Hikvision and others across a variety of industries. We are excited about the endless possibilities and innovation the Intel Atom processor E3900 series will bring to solving real-world customer problems. 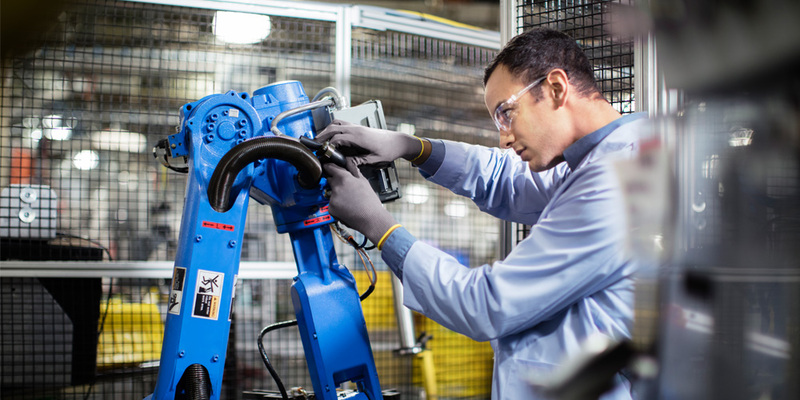 With these processors, Intel continues to offer the significant advantage of economies of scale in IoT technologies across sensors, compute and storage. IoT technologies have the potential to disrupt entire industries and open new cycles of growth, as well as to transform our everyday experiences. The IoT renaissance is now, and I am eager to see the new applications yet to come. To learn more about Intel IoT developments, subscribe to our RSS feed for email notifications of blog updates, or visit intel.com/IoT, [LinkedIn](https://www.linkedin.com/company/10153637?trk=tyah&trkInfo=clickedVertical:showcase%2CclickedEntityId:10153637%2Cidx:2-1-2%2CtarId:1446165641462%2Ctas:intel internet o), Facebook, and Twitter. 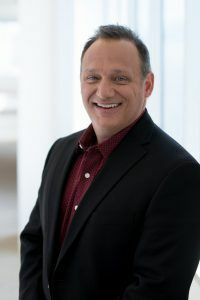 Ken Caviasca is vice president in the Internet of Things Group and general manager of platform engineering and development at Intel Corporation. Device: Intel CRB; CPU: Intel® Atom™ processor x5-E3930; OS: CentOS 7 64-bit kernel 3.10.0-123el7; Memory: 4x2GB LPDDR4-2133; Storage: Intel 520 Series SSD 120GB. Memory: 1x4GB DDR3L-1066; Storage: Western Digital* HDD 250GB. SPEC* CPU2006 is a benchmark from the SPEC consortium that measures device performance and throughput using compute intensive application subtests. SPECint_base2006 measures how fast a device completes a single integer compute task. SPECint_rate_base2006 measures throughput, or how many integer compute tasks a device can accomplish in a given amount of time. OS support: Desktop Windows*. 3DMark* 11 is a benchmark from Futuremark* that measures DX 11 gaming performance. There are four DX 11 graphics tests with three quality presets: Entry, Performance, Extreme. Reported metrics: Graphics Score (GPU), Physics Score (CPU), Combined Score (GPU & CPU) and an overall 3DMark Score (higher is better for all Scores). OS support: Desktop Windows*.